At BYCA we have a very strong youth program, with many youth attending weekly now for several years! You can read about some of our long-term regular youth practitioners here. 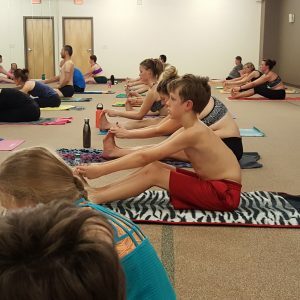 In over 15 years of practice, I have found that the answer lies almost entirely found in how the parent views yoga, how the parent speaks about yoga, and how the parent uses yoga. Is yoga framed as a hobby, leisure activity, or exercise class? Or is it used and spoken about as a primary source of physical and mental health care? Is yoga your first line of defense (or perhaps offense?!) against chronic issues…with biomedicine used as a later – or last – resort? Is biomedicine your first line of defense? Do you use yoga mostly as a side activity, something you do casually to de-stress, something you dabble in because it is supposed to be good for you? Whatever your answers to the above questions are, they perpetuate a certain framework of choices, thoughts, and behaviors that fall under the category of “culture”. They teach the next generation how yoga is to be understood and used. In summary: Your household and/or personal culture around yoga, healing, biomedicine, and medications is powerful! Are you saying I shouldn’t go to the doctor when I am sick? Absolutely not! You do not need to discard the very helpful aspects of biomedicine in order to put yoga first for the list of chronic health problems above (and more). What is important is that you experience for yourself that there is a particular role for biomedicine to play, in certain situations. And that there is a much larger-than-expected role for a medical/therapeutic yoga practice to play. Forrest, age 12, has been practicing weekly (at the Thursday evening Youth Class) for the past 3 years. In our household, yoga is put in the same category that brushing teeth is in. It was not framed as a choice any more than brushing his teeth was a choice. It is not a hobby or “mom’s thing”, it is our main method of preventive medicine – and even healing assistance for many acute issues as well. He often doesn’t want to go to class, but we go. And so many good things are happening as a result. Do you make teeth-brushing optional for your kids? Or required? If you require it, what is (or what was) the logic you used to explain why teeth-brushing was something you simply had to do twice a day? 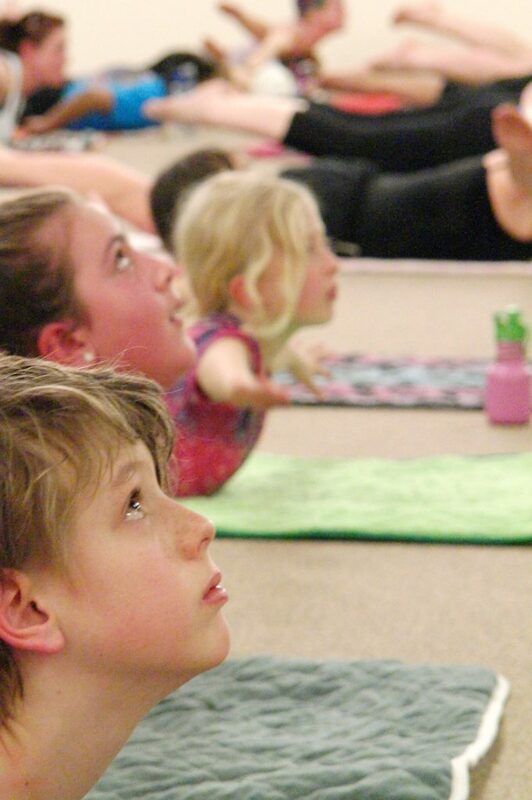 I know that some parents have a hard time with the thought of “making” their kids do yoga. But if you are someone who “made” your kids brush your teeth, and someone who experiences the therapeutic nature of this yoga practice….you are 95% of the way there! The last 5% of the puzzle is completing a shift in language and communication. The most straightforward way to communicate about this yoga practice is to use similar language as you would use when talking about brushing your teeth. Simply. Without scolding or negativity. Just that this is something we do in this house. This is a part of growing up in a human body and how we take care of it. …your kids will feel it for themselves. Just like brushing teeth! You see, once you brush your teeth regularly enough, YOU WANT TO DO IT. You know how it feels when you don’t, and you know how it feels when you do. It is simply a matter of training someone into their own understanding and experience of the difference. He ended up practicing 3 days in a row…because HE WANTED TO. My heart overflows everytime someone’s mind has made this shift. If you are interested in attending our Youth Yoga class on Thursday evenings, check out the events page for details, and feel free to contact us with any questions. Thank you to all of our BYCA members for all of your support of humans of all ages and bodies!! It is a great joy to be with you all and watch the healing process unfold.